A blast from the past. In 2008, Clay and I took a trip to San Francisco. 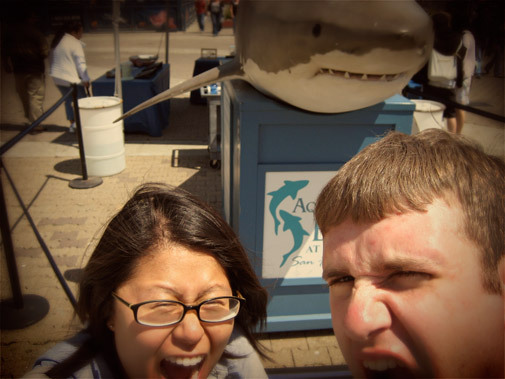 Here’s us narrowly escaping the jaws of death at Fisherman’s Wharf. This entry was posted in my life, nostalgia, travel. Bookmark the permalink.